Revisiting parts of the Percy Jackson universe these past months as part of the Percy Pack has been fun. I first picked up Percy Jackson when I was a college freshman, and his adventure resonated with me even though he was several years younger than me. So, unlike many young folks, I can’t say that I grew up with Percy, but I did love Riordan’s series. I was excited to check out his newest series, this time following Norse mythology. Magnus Chase and the Gods of Asgard is maturer and darker than Percy Jackson, but still has Riordan’s now-trademark humor and suspenseful moments. The non-stop adventure will keep you reading and eventually invested in Magnus Chase’s story. It will definitely appeal to Percy Jackson fans, who grew up with the book and are looking for something a little older and grittier. 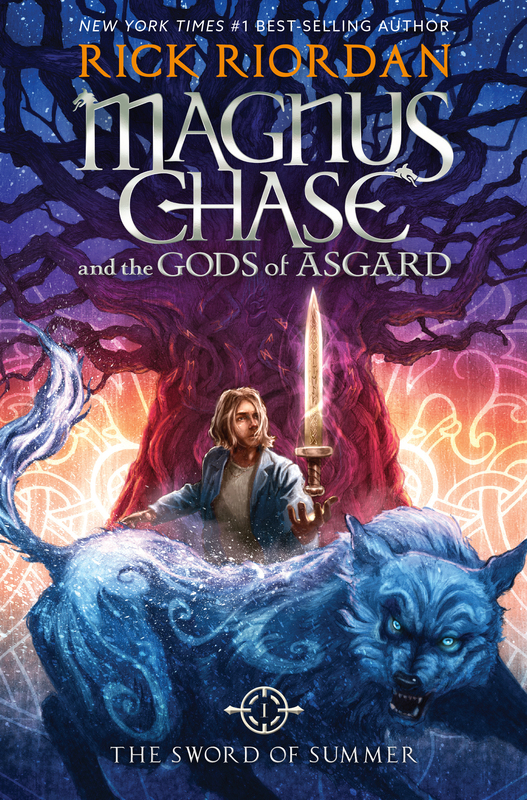 Magnus Chase and the Gods of Asgard: The Sword of Summer by Rick Riordan is now available in stores. We have received books, merchandise and prizing from Disney-Hyperion in exchange for this post.